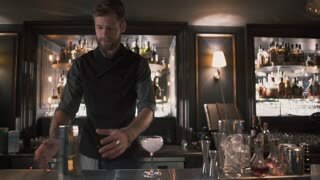 Bartender with shaker making cocktail in modern bar. Handsome barman shake drink. 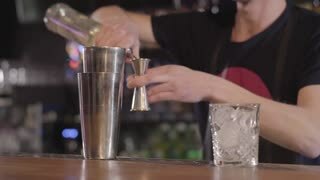 Close up shot of a bartender shaking a drink in a cocktail shaker. 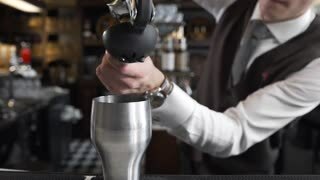 Bartender with shaker making cocktail in modern bar. Handsome barman shake drink. 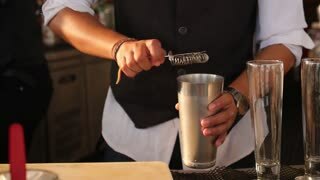 Bartender with shaker making cocktail in modern bar. Handsome barman shake drink. . Handsome barman professional at posh bar making cocktail drinks.